“What I seek to translate by using the term ‘minimalist’, is that in our current era of abundance, I eliminate everything that is superfluous, which allows me to focus on the item of clothing only”, says 26 year-old Parisian autodidact designer Imane Medjahed, in reference to her brand. ENAMI—which is essentially the word ‘Imane’ written backwards—was founded in March 2017 by Medjahed while pursuing her Masters in Strategic Change Management. 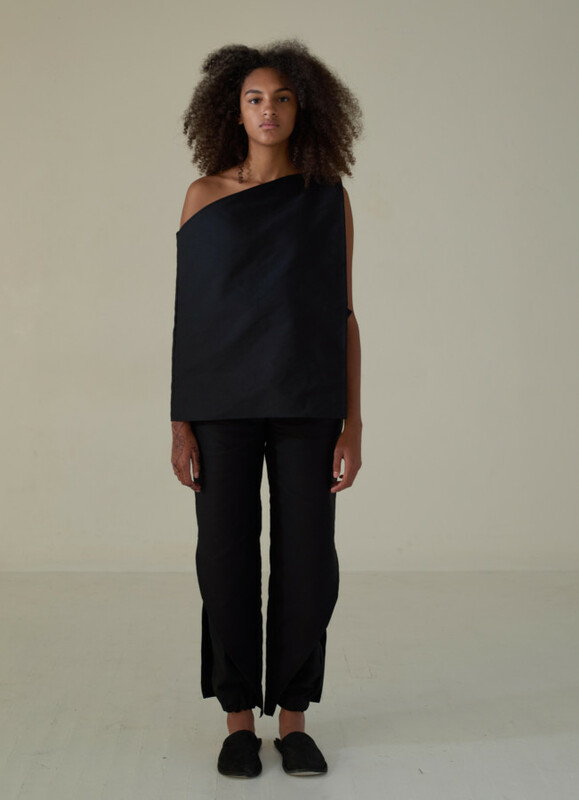 The young designer only conceptualises her lines using black, which she sees as both a challenge and an opportunity. “Using a monochrome palette forces me to push the boundaries when designing the shapes of my clothes”, she says. Enami’s geometric DNA makes the brand both sober and brutal but evidently contemporary. She finds her principal inspirations in brutalist and deconstrusctivsit architecture. “Of course my bi-cultural identity enriches me. But, inspiration comes to me wherever I am as long as I perceive particular geomatric forms. This can be in Paris and its outskirts, or on the roof of my home in Oran, while I observe the structures of the neighbouring houses and the surrounding constructions”, she explains. 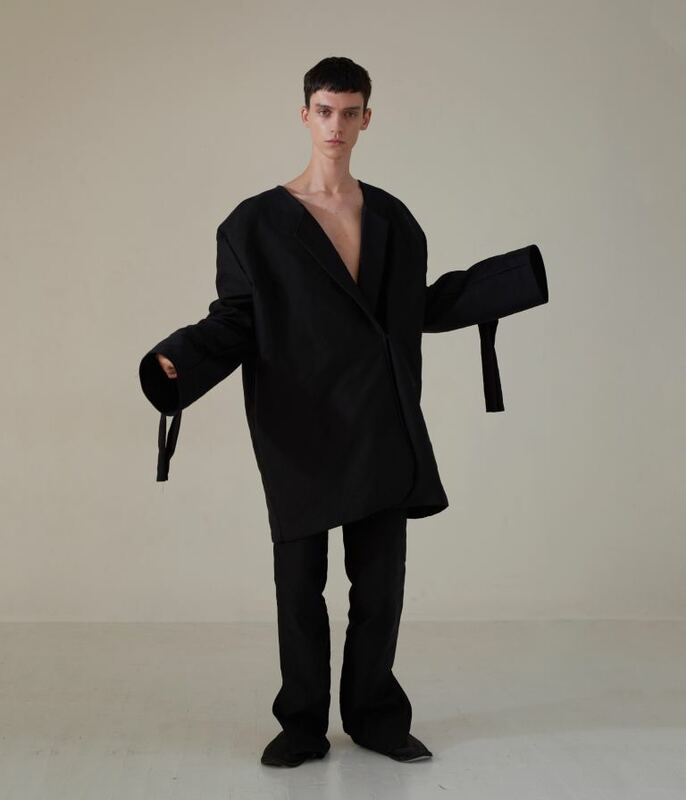 ENAMI was introduced during Women’s Fashion Week in Paris last year, however Medjahed would like to showcase her work during Men’s from now on. “When I custom my collections, I don’t think about genders. I like the idea that fashion can be transformable, adaptable, depending on someone’s will”. 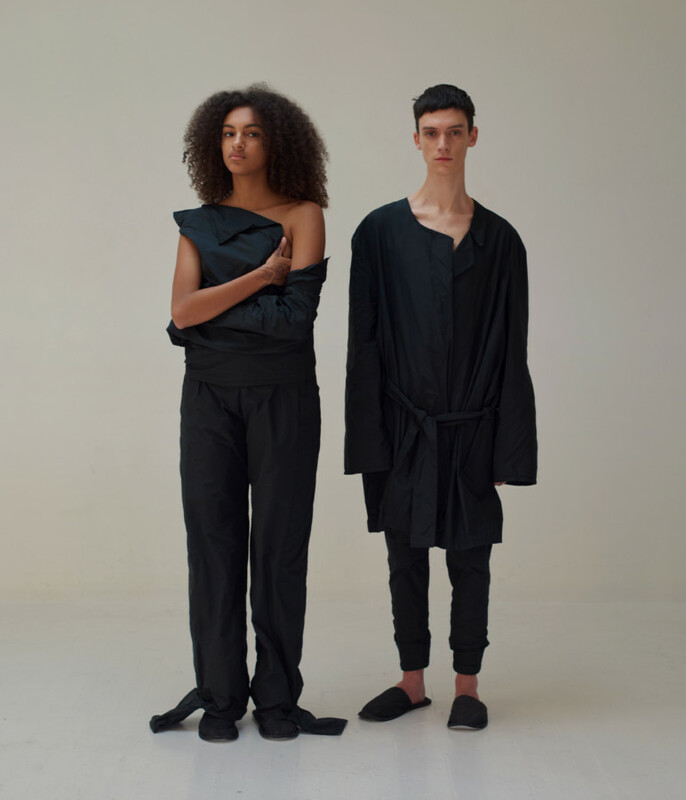 Imane’s genderless direction gives her an undeniable freedom, and makes ENAMI a modern, generous and audacious brand. “I make clothes for everybody. There’s no particular context. I create for the pleasure of doing it and to share it”.